Henry J. 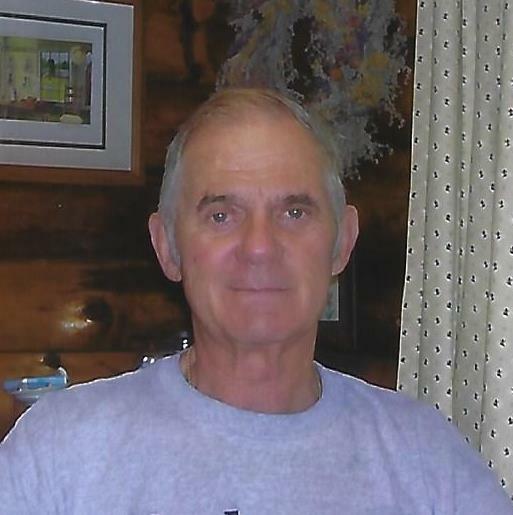 “Jack” Naventi Jr., 85, of Lakeside Drive, Goose Pond, Tyringham, passed away Palm Sunday, April 14, 2019 at Kimball Farms Nursing Home with his loving family by his side. He was born in Lee on June 2, 1933, the son of the late Henry J. and Helen Murray Naventi. He attended the local Lee schools and graduated from St. John’s Prep School in Worcester, MA. Jack played accordion at 14 years old with his grandmother and uncle and later had his own band “The DJ’s”. He was employed for over forty years as an operating engineer in the Heavy Highway Construction industry, 34 of those years with Petricca Construction. He was a member of the Operating Engineers Local # 98 and just loved working construction running all heavy equipment. He was also a former member of the Northboro Fire Department and the Lee Fire Department. Jack’s other passions were fishing and playing golf. After retirement, he and his wife, Dorothy Billings Naventi spent 40 years of winters in Florida homes and summers at Goose Pond, the best of both worlds. He leaves behind his wife: Dorothy Billings Naventi with whom he would have celebrated their 67th wedding anniversary on June 23rd of this year; his daughter: Laurel Baluk and her husband Stephen; two sons: Gary Naventi and Brian Naventi and his wife Heather; his sisters: Shirley Tyer and Jean Collins and her husband Michael; his grandchildren: Erika Baluk- Shepardson and her husband James, Kurt Baluk and his wife Crystal, Kristin and Susan Naventi; his great grandchildren: Everett and Eila Shepardson and Aubrey and Konrad Baluk. Jack was also very blessed to have such wonderful and devoted friends: Bill and Emma Hamilton, Tom Touponce, Rich Barrett and numerous golf buddies. The family wishes to extend a huge thank you to his doctors: Dr. Finck, Dr. Phillips, Dr. Rose, Dr. Wespiser and BMC’s 4th and 5th floor Doctors and Nurses and Kimball Farms Nursing Home for all of their help. A Liturgy of the Word will be celebrated on Holy Thursday, April 18th, at 10 AM at St. Mary’s Church in Lee. Burial will follow in St. Mary’s Cemetery. Visiting hours will be on Wednesday evening from 4-7 PM at the Kelly Funeral Home in Lee. Friends wishing may make memorial donations to the American Heart Association or to a Charity of their choice in c/o the Kelly Funeral Home 3 Main Street Lee, MA 01238.